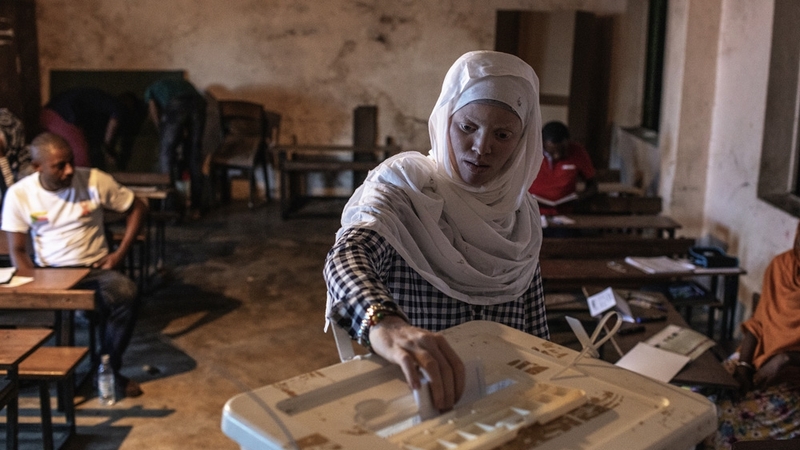 People in Comoros are casting their ballots in the archipelago’s presidential elections, with incumbent Azali Assoumani widely expected to win a new term in a vote that rivals say has been hijacked. The main opposition alleged that irregularities at several polling stations reported on Sunday by the electoral commission amounted to a “coup d’etat” and called for public “resistance”. “We candidates declare the current government illegitimate … [we] call on the people to resist and mobilise against it,” Soihili Mohamed, the head of the Union of the Opposition group and a former deputy president, told journalists on Moroni island. “I’ve been told there have been some problems; it’s not a surprise,” he said. “We were aware during the campaign there are some people who were not out there to win but to prevent the vote taking place. “The situation is under control,” he added, expressing “confidence” over a win. “Given that my delegates have been prevented from entering polling stations … I shall never recognise the results,” Mahamoudou Ahamada, candidate of opposition party Juwa, said after voting on Grande Comore. The Supreme Court had barred some of Azali’s major rivals, including former President Ahmed Abdallah Sambi, accused of corruption, from running. “I hope my choice will be respected,” Allaoui Elarif, 70, told AFP.